From the end of last year’s football season, the NFL has considered moving one of its teams to Los Angeles. Despite L.A. being a few hours from Nevada, this move will have little impact on sportsbooks throughout the state. With this particular competitive sport being one of the top and most lucrative among gamblers and casinos, having a NFL team so close will have little effect on how betting is conducted; at least in the beginning. 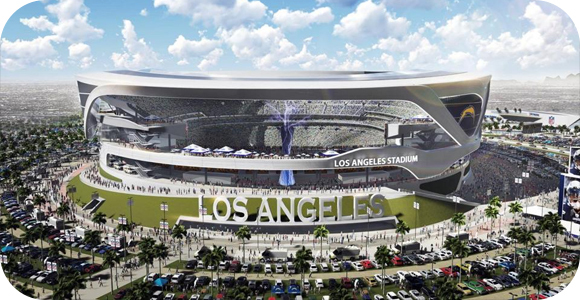 It is still unknown as to which one of the NFL teams will be making the big and quite expensive move to Los Angeles, with three teams in the running. The San Diego Chargers and Oakland Raiders are being considered to move to Carson, or the St. Louis Rams move to Inglewood. The main reason these three teams are so serious about moving is due mostly by economics; it always comes down to money. Sponsorship money is usually based off of stadium revenue, and these three teams fell among the bottom seven. This would give them a new stadium, in a huge city with thousands of potential fans going to fill the seats. Now, as to why this will have little impact on the Las Vegas sportsbooks in the beginning is quite simple, the football team is not established as a winning franchise yet. What most will find when they bet on sports is that the biggest and best teams will always have the odds in their favor, giving not only fans, but also the books chances of making some money. Now, in the future, if the L.A. team were to become a big success on the same level as the Lakers or the Dodgers, they would constant action being placed on them.